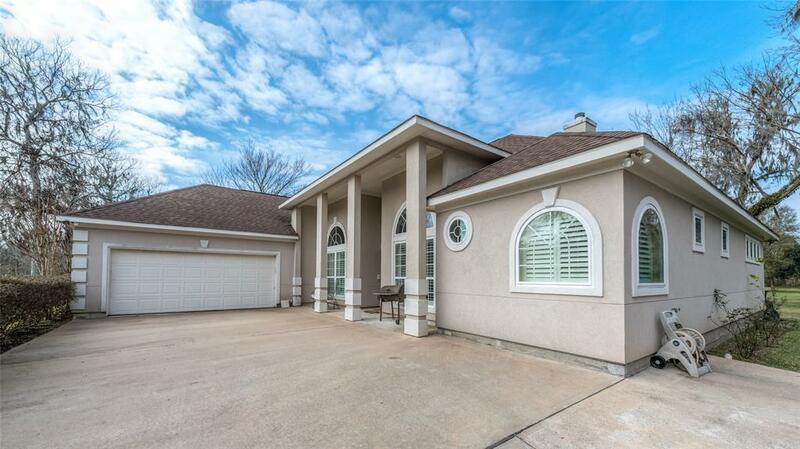 Gorgeous 1.5-story custom home resting on 2 full acres in Rosharon! 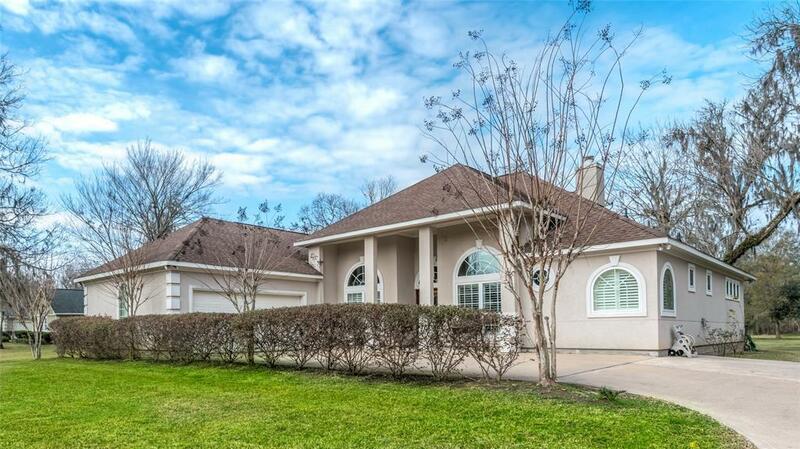 Convenient front drive for entrance into a most delightful home featuring soaring ceilings, crown molding, beautiful 5-inch plank wood floors, formal dining room and private study with built-in desk & storage. Chefs kitchen complete with granite counters, breakfast bar, stainless steel appliances, gas range, plentiful storage and open to breakfast room. Large first floor master retreat and private luxury bath with granite vanity, dual sinks, corner jetted tub and separate glass shower. 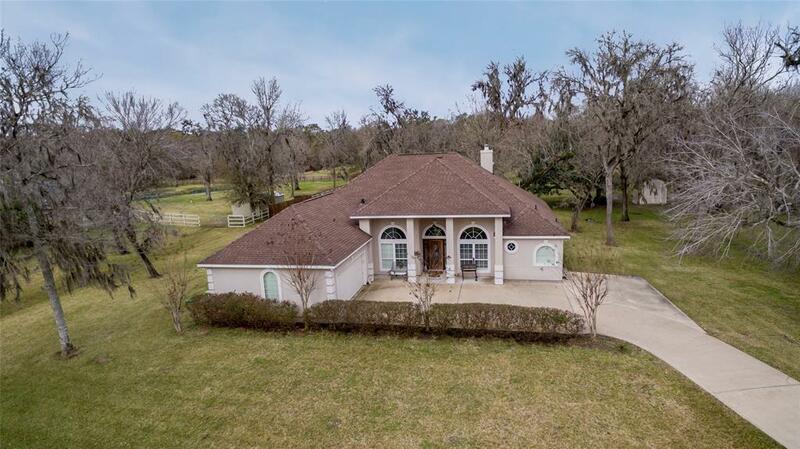 Two secondary bedrooms and full bath on main level; second level with loft-style game room (possible 4th bedroom), full bath and huge covered balcony overlooking the sprawling land and scenic wooded views! Country living with modern conveniences and a breath of fresh air! 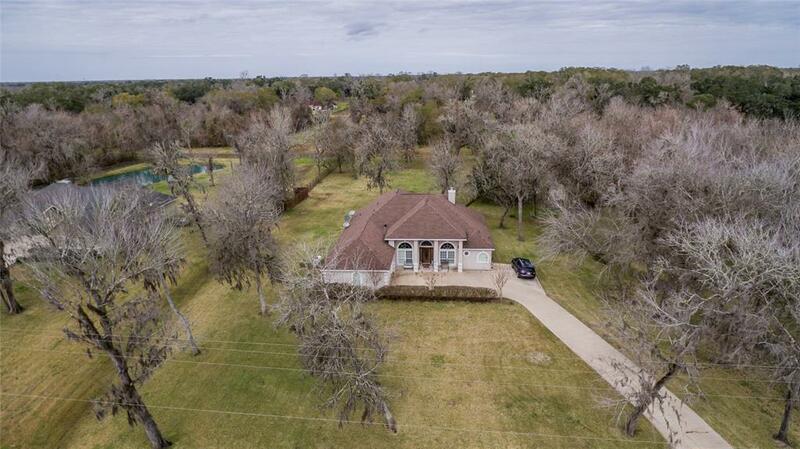 Located near FM 1462 & 521 and convenient access to Hwy 288!